Although we are known in the Tucson community as BICAS (Bicycle Inter-Community Art and Salvage), our official name is Bootstraps to Share of Tucson, Inc. Your bank statement may reflect this name after you donate. 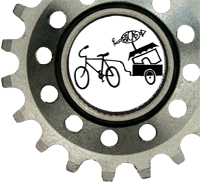 We appreciate your interest in supporting BICAS, a non-profit Arizona 501(c)(3) corporation dedicated to meeting the human-powered transportation needs of youth and homeless. All donations are tax-deductible — see below for the official IRS and Arizona documents supporting that statement. We have information on how to donate money, old bicycles, and bicycle-related items. Our federal ID number (EIN) is 74-2580768. You may search for us in the IRS Directory, or look us up on GuideStar. As Arizona residents, we have a unique opportunity to to make an upfront donation to local charities and get that money back in the form of a tax credit. More information and answers to your tax credit questions can be found in this Daily Star article from December 10th, 2018. At tax time, BICAS can be found under QCO Code: 20720 Bootstraps to Share of Tucson, Inc. dba BICAS. Tax credit contributions can be made between Jan. 1, 2018 and April 17, 2019. BICAS shall never sell, rent, lease or exchange personal donor information with other organizations. BICAS assures that the identity of all who contact us will be kept confidential. Use of personal information will be limited to BICAS. BICAS is committed to ensuring the security of personal donor information. To prevent unauthorized access, maintain data accuracy, and ensure the proper use of information, we have established and implemented appropriate physical, electronic and managerial procedures to safeguard and secure the information we collect online. BICAS uses Secure Socket Layer (SSL) Protocol when processing sensitive data such as credit card information. Any information you enter is encrypted at the check-out. All tax-exempt organizations must make certain documents available for public inspection. Internet posting fulfills this requirement. (See IRS FAQ on fulfilling the public inspection requirement.) Our fiscal year runs January 1 – December 31. These returns (IRS Form 990) summarize our activities (mostly from a financial viewpoint) and document that our tax-exempt and charitable status should remain unchanged. To protect privacy, mailing addresses of board members and key employees (usually on pages 5 and 7) and mailing addresses of major donors (usually on page 2 of Schedule B) are removed. We have internal documentation on how we combine several documents to produce a single PDF suitable for public viewing.